In addition to Cut Loose, I designed a second quilt using Washington Depot for FreeSpirit called Hashtag. The (free!) 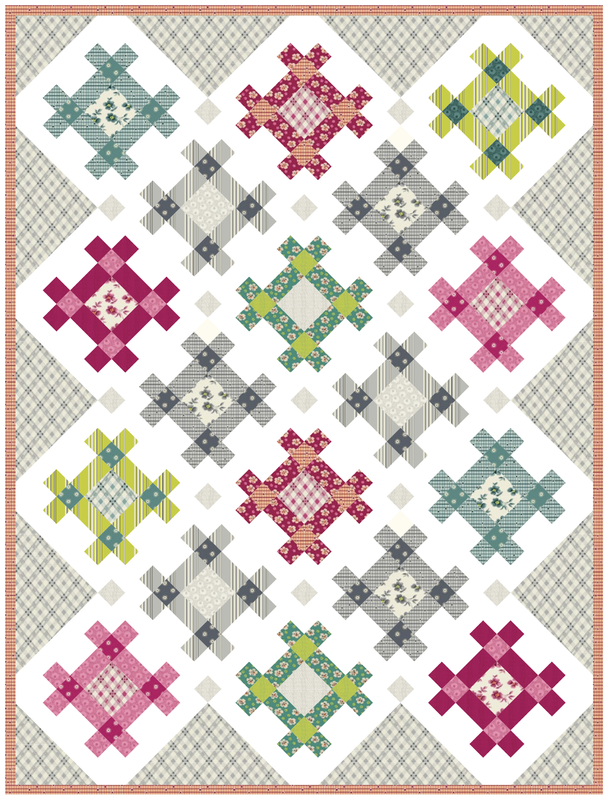 pattern makes a 61" x 81" finished quilt and is available on the FreeSpirit website. This quilt is adorable! I love it! Too bad the link to the pattern doesn't work. So sorry about that, the link is now working! Link to pattern does not work! Would love free pattern!! Such a cute pattern! I went to the Free Spirit site and searched "Hashtag". I was able to download the quilt easily. Thanks for the great pattern! Still could not get to the pattern!! Sorry about that guys, thanks Sue for posting the link. I have had family in town this weekend so I just saw that there was an issue. The link should now be working. Thank you Sue! I did find it and now need to buy an ink cartridge to print!! Thank you very much for your help! !